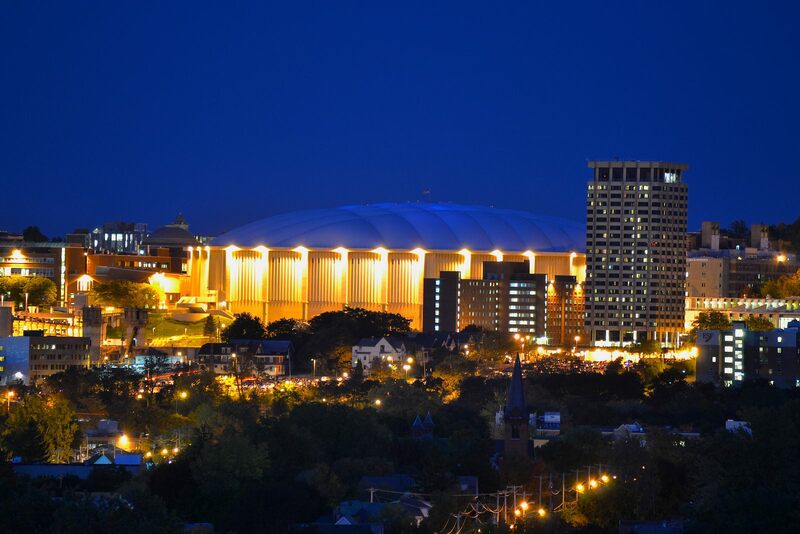 Construction of a new stadium on the edge of Syracuse Univeristy’s campus was forced by poor condition of its predecessor, Archbold Stadium. 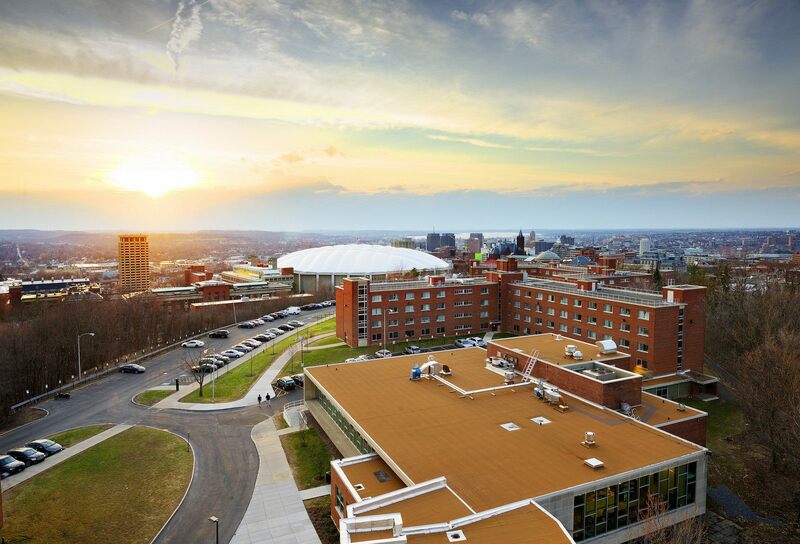 In order to retain its status in the NCAA, the university had to build a new one. 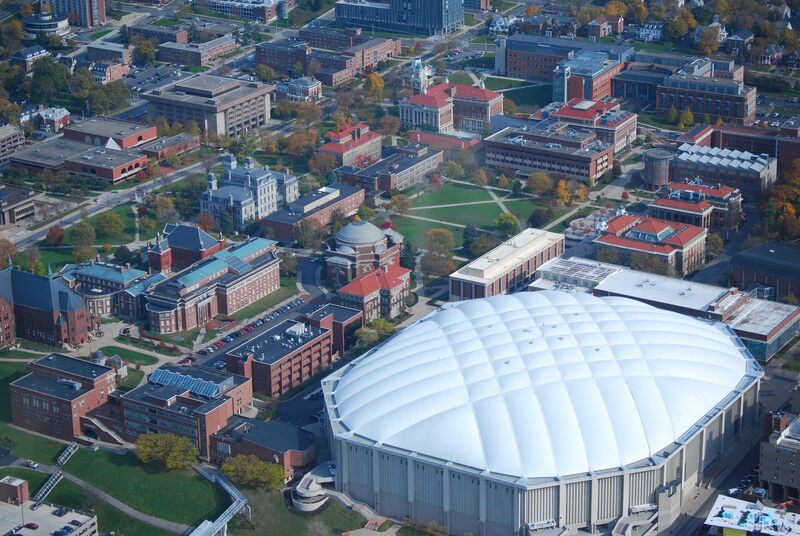 Taking the mild (if not chilly) weather into account, the SU opted for an inflated dome covered with fiberglass, popular solution in 1970s. Financing for the development was secured from state authorities as NY governor contributed $15 million to the project. Further $2.75 million was donated by HVAC manufacturer Carrier (to this day honoured in the name) and remainder supplied by the university. Entire budget stood at under $26 million. Compared to its capacity of nearly 50,000 people, this price tag seems a rather modest one. That said, the modest concrete facades are very raw and hardly matching the campus architecture altogether. 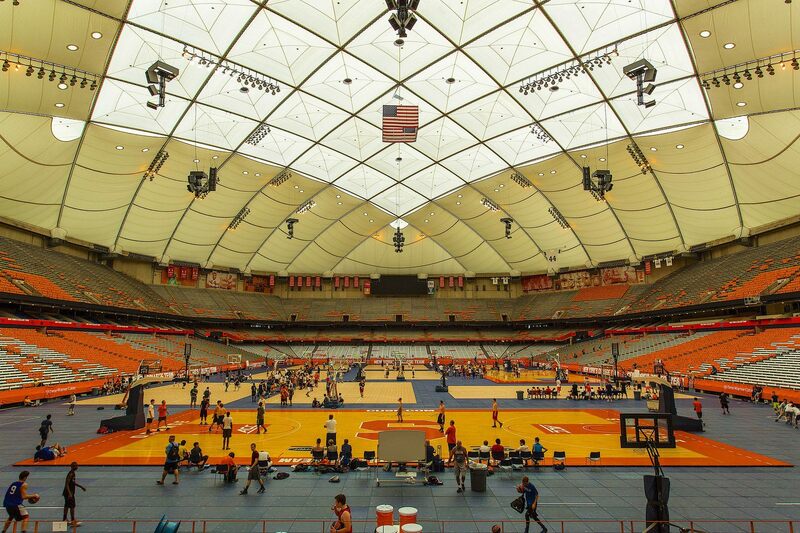 Since opening in 1980 it’s been one of the most versatile venues for university athletics. 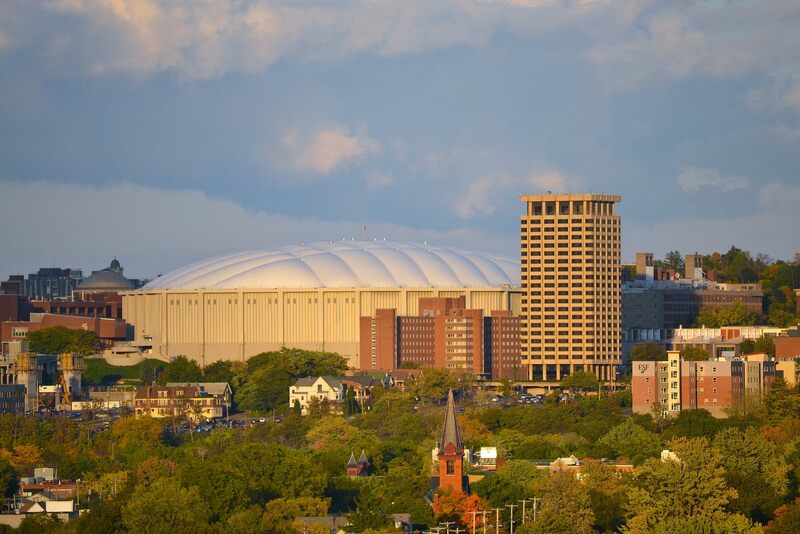 It serves football, basketball and lacrosse teams of the university on a regular basis. 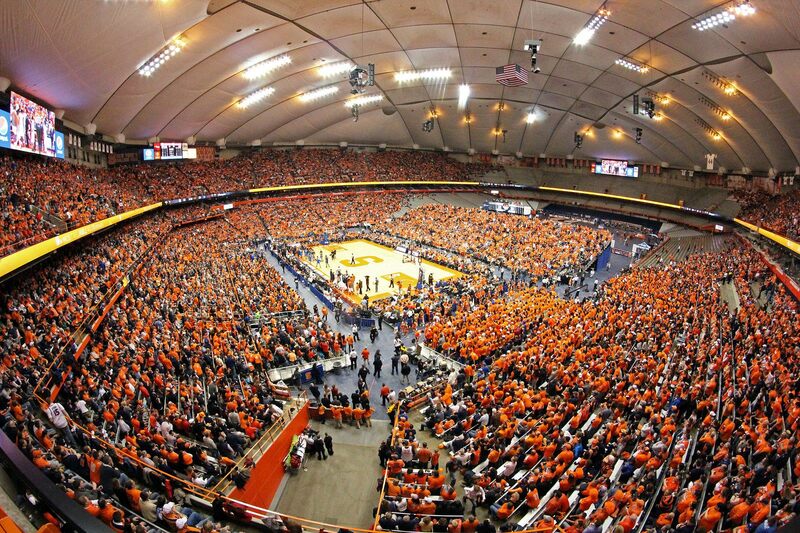 And with its size it allowed SU to establish several attendance records for on-campus basketball or hockey. 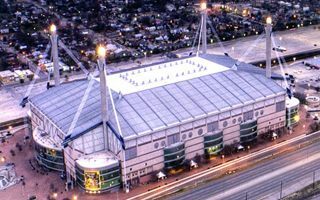 to this day the stadium’s outer form hasn’t changed, though all of the roof was replaced in 1999, during its largest ever renovation.